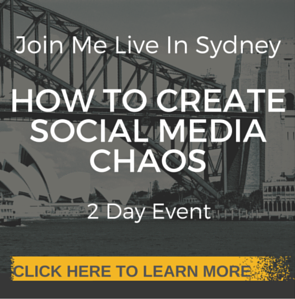 It can get really mind-boggling when we think of the amount of activity that occurs on the social networks per day. Two billion users and it continues to grow. The amount of Business Pages has been on the rise as well, the question that you might want to ask is how do you get your brand to stand out? Running a Facebook contest is one way of grabbing your reader’s attention and it can be an important part of your marketing strategy if well executed. According to a poll by Content Marketing Institute, 81% of marketers believe that interactive content like contests and polls grab user’s attention and are way more effective than static content on an average. 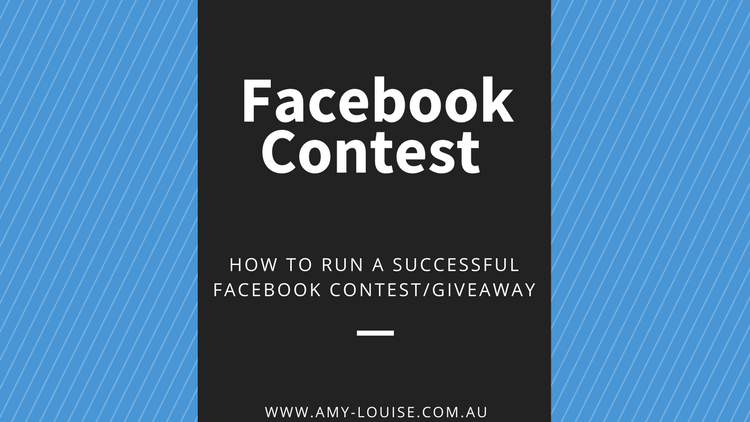 In this post, we will go into the nitty-gritty of running a successful Facebook contest and take a look at some contest examples that you can run on your Business Page. Before you take your first step here, you need to set some ground rules. 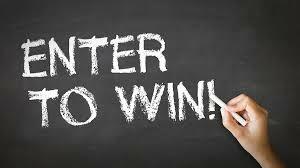 Luckily for us, Facebook has its own contest rules which are mandatory for you as a business to follow when running a contest on Facebook. Whatever contest you will be running on Facebook has to be legal. The laws and regulations that are applicable to the country and state your business operates in should be followed. If you’re unsure about the contest rules for a particular location, you should do your research to ensure you abide by the relevant laws of the land. Get to know the rules with your local office of gaming and lotteries. Don’t try to play on the trust of people on Facebook. Be specific on who owns what and make it clear the contest is not affiliated or administered by Facebook. Your terms and conditions have to be specific to show that Facebook will bear no responsibility for any issues related to the contest. In order to run a Facebook contest, you need to have a business page. Facebook does not allow contests to be ran on personal timelines. You can’t encourage respondents to share the contests with their friends or connections for more entries. According to Facebook, there are only two instances where this might be allowed: you have to use the sentence “share on your Timeline to enter” and “share on your friend’s Timeline to get additional entries”. Facebook has tried to keep the platform as transparent as possible especially as it relates to how users see ads. When you’re running a contest on Facebook, you can’t tag people in photos or posts that they do not appear in. Running a contest with the words “Tag your friends to enter” is prohibited. While this rule is one that Facebook takes really seriously, you’ve probably seen one or two contests that break this rule out right – don’t follow their lead. Starter Contests often have the lowest barrier to entry. It involves entering your contact info to participate. The simplest type of contest here are Sweepstakes. You enter this contest by submitting your email address for a chance to win a prize. It’s often used by Business Pages with a low engagement on their page and it’s a great way to get people excited about your brand and to join your email list. This involves having users submit a user-generated content to enter the contest. It could be in the form of uploading their photos or sending in nice captions. A good example of an intermediate contest is Photo Caption Contest where users are enticed to write a caption for a photo that has been uploaded. The community then decides on the best caption/photo as the winner. This involves a long process and often requires more time and effort from the users. In some rare cases. In order to run advanced contests successful, you will need a large audience as only a fraction of the audience will take their time to enter. Generally the harder the barrier of entry the higher the value of the prize. This is very important if you want to produce the desired results. What do you want to get out of the promotion and how will it drive results for your business? All these questions and much more should be answered before you start your contests on Facebook. Remember to keep things simple and make it easy for users to participate. Today, users visit Facebook using all kinds of devices and this should be catered for when planning for a contest. 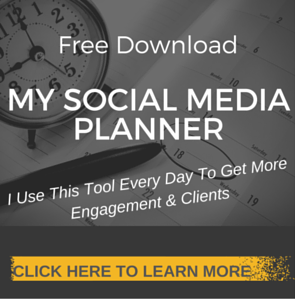 70% of my audience sees my content via a mobile device so make sure its mobile friendly. Minimize the number of steps they need to take part in for the entry to be valid. A maximum number of two steps is great – like or comment. Don’t’ overstretch it by asking for multiple replies or requesting for more information that will be time-consuming. Limit your process to a few clicks or taps that so your contests are easy to complete. It could get tricky here. The kind of prize you offer will determine how much you know about your target audience. A travel company will have fans who are interested in traveling and not fans who want movie tickets. Make sure your prizes resonates with the audience. Put as much thought into this especially when the contests is being used to generate qualified leads. Don’t offer generic prizes like an iPad for a contest whose goal is to generate qualified leads for your business. What you want to do is to ensure you achieve whatever goal you set for yourself at the beginning of the contest. It’s normal to see a post for a contest that you will like to participate in, only to click through and find out that the contest is not open to residents of your state. You might take time out to comment on the post but you’ll be doing so to share your frustration and ask questions. Facebook has an advanced targeting feature that allows you to geo-target your contest posts so that only people in your targeted location get to see the contest. Also, ensure you appropriate target your ads to promote the contest to the right audience. You can run Facebook Ads to boost your reach and then measure your performances by comparing it to the goals you set at the beginning. Analyze the results to check if it matches your expectations. Facebook contests can take many different forms and can produce many different results. If your contest matches up to your expectations, you have created a model that can be duplicated and ran at scale. Through ongoing testing and optimizing, you will discover what your audience responds to the most and what works for your business over time.